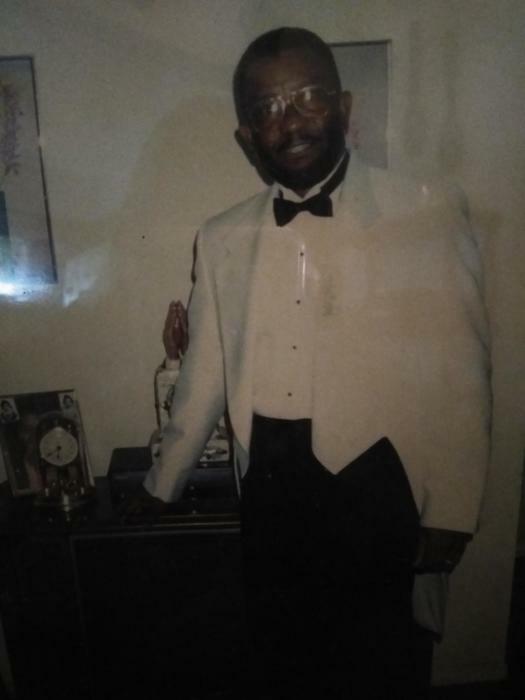 A homegoing celebration for Mr. Frank Lewis of Tampa, Florida who passed away on Friday, February 8, 2019 will be held Saturday, February 16th, 10:00 a.m. at Mt. Olive M.B. Church, 4008 E. Cayuga Street, Rev. Michael White, pastor; Pastor Alphonso Lewis, officiating. The interment will be in Myrtle Hill Cemetery. Frank was born August 11, 1933 in Blakely, Georgia. He attended Mt. Olive M.B. Church and loved his Lord and Savior. During his spare time, he really enjoyed fishing. He was preceded in death by his parents, Serious and Iona Lewis; brothers, Deacon Otis Lewis, Serious Jr., Master Gary Prince Lewis and grandson, Willie James. He leaves to cherish his precious memories with his wife, Emma Faye Lewis; children, Sherrell Lewis, Jacquelyn Lewis Price, Renaye Lewis and Jeffery Martin, Gary Lewis and Shantel McDaniels; a host grandchildren; a host of great-grandchildren; sister, Mary Lee Porter; nieces, Tonya Jones (Vincent), Jasmine, Brittany, Ebony, Shirley Lewis and Elaine Lewis of Miami, Florida; nephews, Felix (Dorothy), Utae, Marion and Pastor Alphonso Lewis (Angela); cousins, Osriin Odom, Scooter Odom and Bernard Odom; nurse Toni Maywood and social worker Keisha; neighbors, Mr. Bobby (Alma); longtime friends, Mr. and Mrs. George Shivers; friends, Saundra Lyons (Ned) and James McDaniels (Diane); family friend, Santana McIntyre; special thanks to Kenneth Robertson. The visitation will be held at Mt. Olive M.B. Church on Friday, February 15th from 5:00 to 7:00 p.m. The family will receive friends from 5:00 to 6:00 p.m. The family and friends are asked to meet at the church on Saturday for the service.